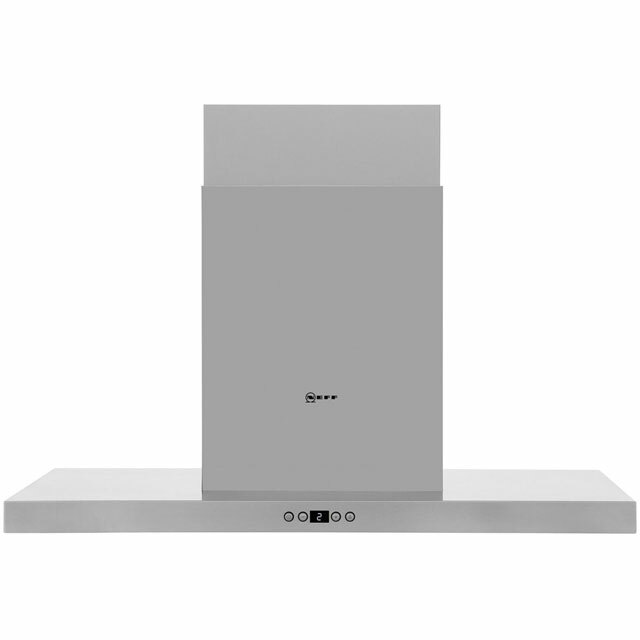 The Neff I79SH52N0B Cooker Hood comes in a contemporary stainless steel colour. The I79SH52N0B has 3 variable venting speeds. The I79SH52N0B push button controls are typically easy to use and to understand. This model has an extraction rate of 740 cubic meters/hour. It incorporates the choice to have recirculation or external venting. You will require a ducting kit if venting externally.The Cooker Hood runs at dB. The I79SH52N0B has 4 lights. To offer peace of mind the Neff I79SH52N0B built in-integrated Cooker Hood also comes with 2 years warranty. What more can I say I’m huge fan! It’s sucking brilliant. We had to install this for recirculation mode instead of extraction because of limitations in our kitchen, but it still gets rid of smells and grease well (we have a simple extractor fan in the wall to get rid of steam and moisture). It isn't too noisy, even on the highest power setting, and the controls are simple. This Neff island hood is very efficient and easy to use. The extraction of steam and odours is excellent and it also has a fresh air option that comes on automatically every hour which is very useful.